Bluff Bucks Outfitters is excited to announce we have teamed up with Hunter's Specialties for the upcoming hunting season and will be using their products exclusively! Hunter's Specialties have purpose-driven tools that are designed from experience. They are 100% committed to make you more effective and more efficient in the field and that's why we are so excited to have their products in our camp! BBO can't wait to share the positive and exciting results with you! Have you always been wanting/wishing for an opportunity to hunt in Buffalo County with Bluff Bucks Outfitters? Well, now's your chance... BBO is offering an early season promotion that is hard not to take advantage of. 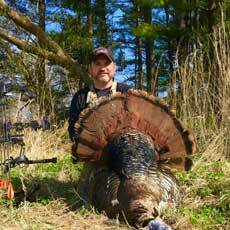 Give Butch a call or email for details: 608-685-4736 or info@bluffbucks.net. Looking forward to hearing from you! 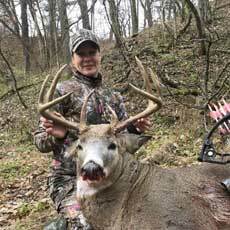 Welcome to the official Bluff Bucks Outfitters homepage. 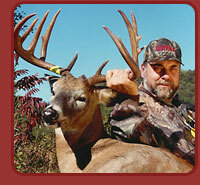 We are here to provide you the most incredible trophy whitetail hunting experience in the United States. 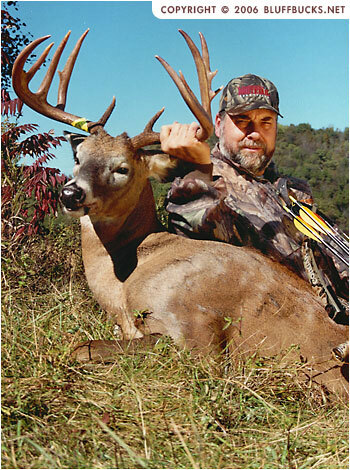 You will find an assortment of imitation hunting outfitters in Buffalo County, Wisconsin, but rest assured, there's only one, Bluff Bucks Outfitters; recently selected as the Outdoor Channel Network's most outstanding business and celebrity destination. We encourage you to browse through our website to learn how we can evolve your dreams into a reality. Bluff Bucks Outfitters takes pride in developing lifelong friendships with our clients. When you're here, you're a part of our family. We are so certain that you'll enjoy your stay that we can almost guarantee we'll have the pleasure of seeing you again. Thank you for your visit. Please let us have the privilege of introducing you to the finest outfitted dream hunt in the United States. Feel free to contact us with questions and/or comments.